It is known that high density wood for the top does not work acoustically. Very low density wood for the top is also not recomendable. 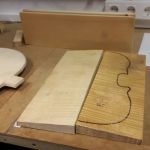 We decided to choose a standard density spruce, most comonly used by violin-makers today. 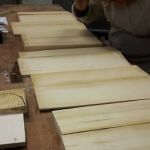 It’s not clear which maple density is the best but we decided to choose also standard density maple. 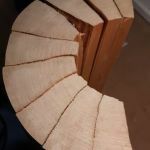 For future projects we could choose higher or lower density maple. 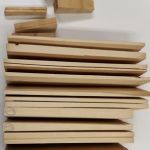 It is not easy to find proper wood with a defined value of density. 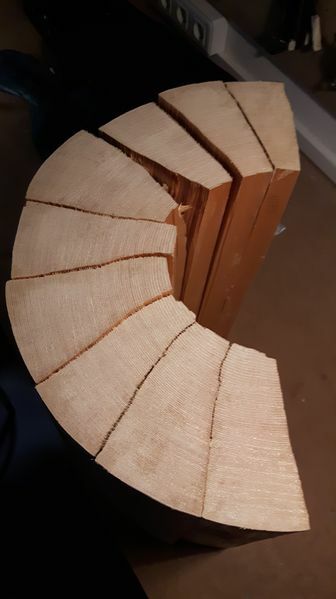 For the top we chose half a log of a picea abies cut in 1995 and split in nine contiguous wedges from which we would obtain a group of six very similar tops. The density range of this wedges goes between 370 and 390 kg/m3. 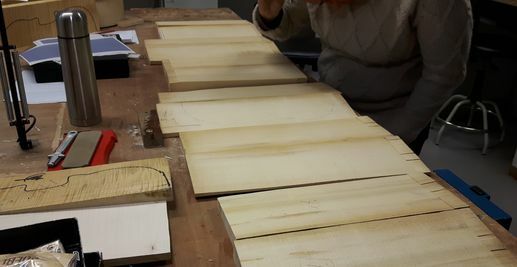 For the back we decided to use three very regular boards of Acer pseudoplatanus, the most common used maple. 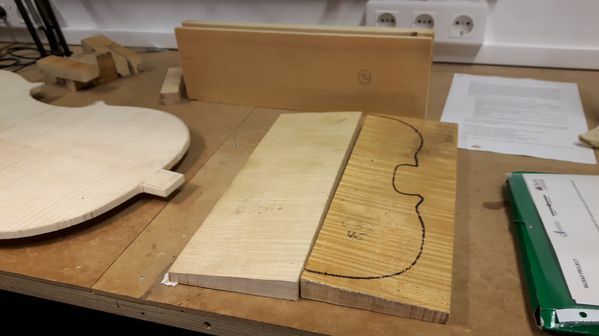 Six similar backs would be obtained from those boards. 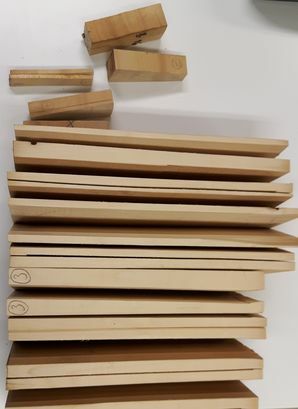 This wood has a denssity between 570 and 590 kg/m3.